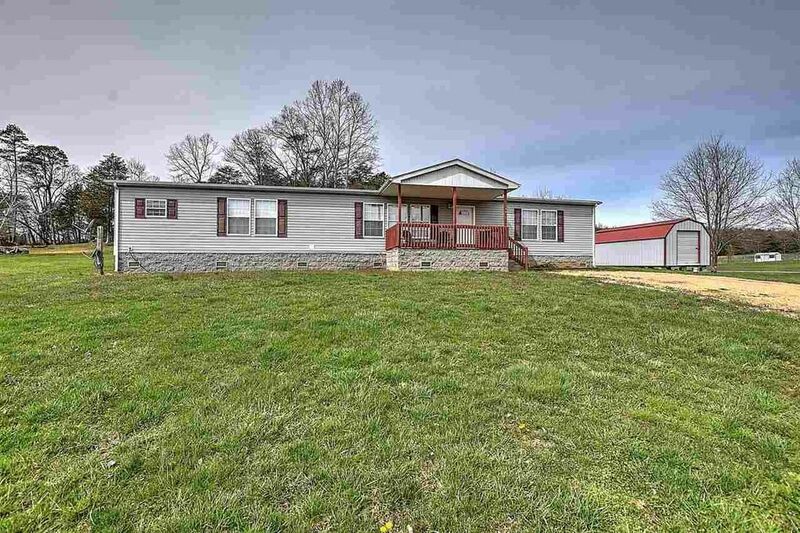 Super spacious home on the West end of Greene County. Located between Greeneville and Newport, great for commuters to either or both city. This house has been painstakingly maintained and it shows! Move in ready condition. A new heat pump (indoor and outdoor units) just installed in 2018. Kitchen appliances remain and the refrigerator and dishwasher are both new. The kitchen has plenty of cabinets, an island and lots of counter space. All bedrooms are large with walk in closets. Sit on the covered front porch with your morning coffee to watch the sun come up and barbecue out on the back deck in the evenings. A nice 12 x 26 building is in place for your mower and an older outbuilding is further back on the property. Land goes back into the woods a bit. Take a look, hard to find this much square footage in great condition for the money!